Warranwood Art Show has been proudly supporting the artistic community and running art exhibitions since 2003. Register as an artist on Gallery 247 and watch for our next artshow exhibition, cross-pollinate on our social channels (Facebook Instagram) or subscribe to our newsletter. Events are held at Oak Hall in the leafy suburb of Warranwood. 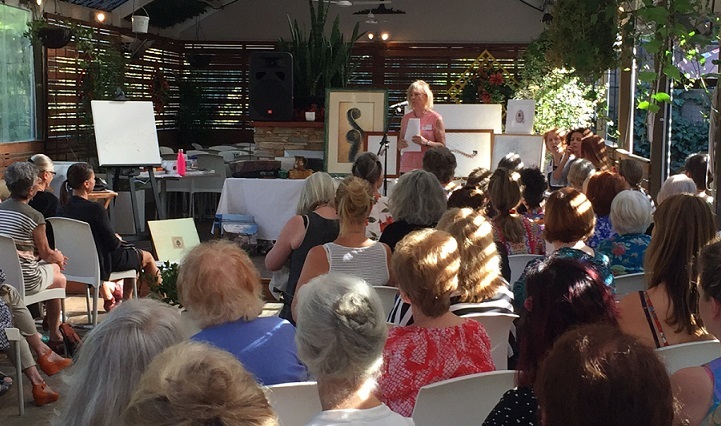 Warranwood Art Show's ongoing Vision of ‘supporting the artistic community’ enlivens with events that inform, demonstrate and enrich participants, event-goers, volunteers, community and the artists involved. The Warranwood Art Show supports via its social channels throughout the year cross-pollinating Exhibiting artist's own solo or group exhibitions and events. If you have exhibited with Warranwood Art Show and would like to cross pollinate your solo exhibition event via our social channels, contact us here to inform us of your event. 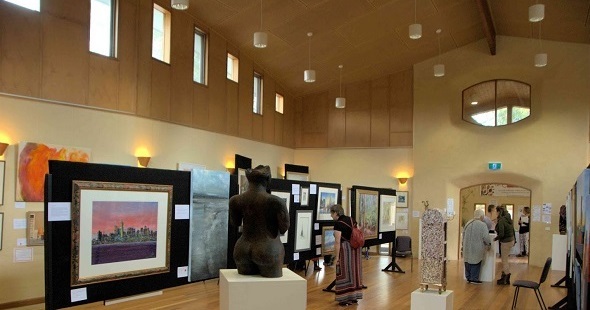 Warranwood Art Show runs a variety of events throughout the year, an annual art exhibition in autumn and an Artistic Morning Tea in summer are two of its seasonal events. Supporting the artistic community continues throughout the year via our social channels when Warranwood Art Show's exhibiting artists run their own solo and group exhibitions. 'Like us' to stay informed and help cross pollinate arts content to community. If you have previously exhibited at a Warranwood Art Show exhibition and are promoting your own solo (or group) exhibition, contact us today to inform community via our social channels. Today’s Warranwood Art Show runs its annual exhibition in autumn in the inspiring Oak Hall building located in the leafy foreground gardens at the Melbourne Rudolf Steiner School, 213 Wonga Road, Warranwood, Victoria. The exhibition annually showcases artworks by professional and emerging artists across Victoria. Each year artworks are sold with many artists commissioned, recognised or collected. Emerging artists gain encouragement with Awards and prizes to further refine and expand their art. Independent judges and awards provide an avenue for recognition with Award prizes in a variety of categories. Pro ceeds from Warranwood Art Show events goes to the School Community Association, the fundraising arm of the Melbourne Rudolf Steiner School, to directly benefit the school with upgrade and improvement projects. Recent projects include a major Library upgrade, sound stage, audio visual equipment and more. Running Warranwood Art Show is a team of active volunteers from the school and local arts communities. The variety and skillsets each brings encourages the growth of the individual and group, with a resulting synergy delightfully reflected in the exhibition and its events. Vital support underpins the success of the art show by the school community of the Melbourne Rudolf Steiner School. Interested members of the community can volunteer and join the Warranwood Art Show, please contact us to find out more. It all began from a vision of a group of school parents, some of whom were aspiring artists, who wanted to showcase the work of the local arts community. Firstly, there was a joint exhibition with the Ringwood Art Society on a wet August weekend in 2001. This brought together artists from the Melbourne Rudolf Steiner School and the broader community, spurring interest in creating an exhibition that revealed the artistic endeavours of both. The following year a small but successful show was held at the School’s Open day and Fair in the Great Hall and in 2003, with more artists exhibiting and enthusiasm building for an ongoing, regular artistic event, the 1st Annual Art Exhibition and Sale was established, moving to a bigger light-filled space in the newly built school gymnasium. The ambition was for an art experience different from the regular shows. Something spacious, inspiring and reverent. Renamed the Warranwood Art Show, the annual event moved into the beautiful Oak hall, completed in 2011 and here the show found it’s current home with a wonderful spacious environment for exhibiting and admiring art. From the early creative ideas and beginnings, it grew year by year to where it is now, with some of the same enthusiastic people on the Committee. The Warranwood Art Show came into being after the Melbourne Rudolf Steiner School’s 30th Birthday celebrations in 2002. Prior to that, there had been quite a long history of art and craft exhibitions at what is now the location of the Melbourne Rudolf Steiner School (MRSS) at 213 Wonga Road, Warranwood. A recent history project about the land where the school now stands uncovered information about the owners. Three sisters, Grace, Eva and Bertha Darbyshire, retired teachers and artists, who regularly conducted art and craft exhibitions and community events while living at the property, as well as public fundraising events to benefit local charities. 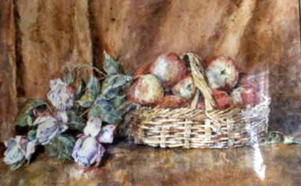 Argus newspaper articles reported a tapestry exhibition in 1938 and an exhibition of Bertha Darbyshire’s watercolours in November 1946. The sisters former home, Killala, a timber and fibro cottage, then became known and much loved as the school’s Community House during its first 38 years. A team of active volunteers from the school and local arts communities run events for Warranwood Art Show. The unique skillset each brings encourages growth of the individual and group, with a resulting synergy delightfully reflected in the events run each year. 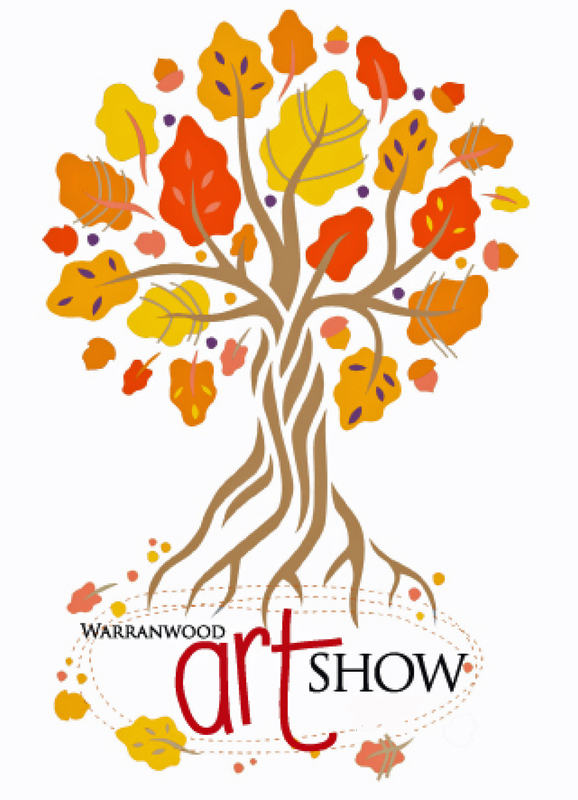 Interested members of the local arts and school communities can join Warranwood Art Show as a volunteer. If this appeals to you, contact Warranwood Art Show today.